In the Fall of 2010 when Prince took the podium at the legendary Apollo to announce his “Welcome To America,” and his plans to feature his favorite artists, it was no shock to many that Mint Condition was among them. The only band on his list that day? Mint Condition. During the month of February, TV One tapped Mint Condition as the house band seen and heard every night on the show “Way Black When,” which celebrated the biggest African American stars throughout the 70s, 80s and 90s. With not one but two current hit singles on board—the sumptuous “Caught My Eye” and lead singer Stokley’s duet with Kelly Price, “Not My Daddy,” Mint Condition marks the 20th anniversary of its first chart hit with the release of 7… (Mint Condition’s seventh studio album) due out on Shanachie Entertainment/Caged Bird April 5, 2011. “This time around we decided to not let ourselves become bogged down with strict thematic or musical boundaries,” notes keyboard player Larry El. “We wanted, instead, to do a project that would be expressive of life’s multi-facets. For the first time in our career, we looked back into our own musical catalogue for inspiration and resources. Without being a direct throwback, 7… weaves threads of nostalgia into the musical mix. It’s kind of an ode to Minneapolis, Mint Condition style.” 7… sounds unlike anything else in the R&B world -or any other world—today, once again demonstrating that Mint Condition is one of those rare artists on the scene with their own unique sound. Along with Mint Condition’s bedrock funk and R&B balladry, elements of jazz, rock, and hip hop come into the mix. They have always delivered these elements live but here they are a part of their studio work. Nothing is formulaic or routine with Mint Condition, starting with the opening tracks “Can’t Get Away” and “I Want It,” which are seamlessly linked to play straight through, to “Twenty Years Later,” an off-the-wall narrative depicting a 47 year-old addict wondering what happened to the last twenty years of his life, which opens with acoustic guitar and climaxes with an ironic jaunty Vegas-style vamp. It is the kind of organic creativity that only Mint Condition could achieve, an extra ingredient that years of playing together make it possible for them to deliver. In an era dominated by singles, 7… is truly an album, designed to be heard as a whole. The members of Mint Condition met as teenagers growing up in the Twin Cities—Minneapolis-St. Paul amidst a thriving music scene energized by Prince, The Time, Jam & Lewis, The Replacements, Soul Asylum and many other artists. Keyboardists Lawrence El and Keri Lewis, guitarist O’Dell, keyboardist/saxophonist Jef, drummer/vocalist Stokley, and bass player Ricky came together in the performing arts program at Central High School. Playing together in different combinations led to them forming Mint Condition; a gig at the famed First Avenue club in 1989 caught the attention of super-producers Jimmy Jam and Terry Lewis, formerly of The Time, and they were signed to Jam & Lewis’ Perspective Records. MEANT TO BE MINT, their debut album, was released in 1991. Their first single, a New Jack Swing-styled number, had only modest success but it was a ballad, “Breakin’ My Heart (Pretty Brown Eyes),” which has become one of the classic R&B ballads of our time, that was their breakthrough, hitting #3 on the R&B charts and #6 on the Pop charts, with the follow-up “Forever In Your Eyes” hitting #7 on R&B charts. 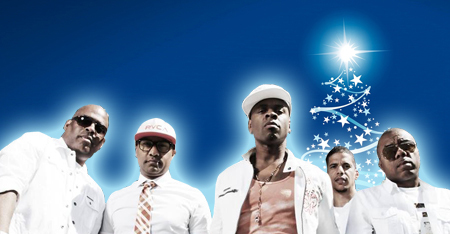 Mint Condition was established as a gold-selling act. Further hit singles and albums followed, with “U Send Me Swingin’,” “Someone To Love” and “So Fine” all hitting from the FROM THE MINT FACTORY album, “What Kind Of Man Would I Be” (another acknowledged classic) and “You Don’t Have To Hurt No More” from DEFINITION OF A BAND. Meanwhile the band earned its spurs as a live act, touring relentlessly and, unlike so many artists, delivering not only a performance equal to their studio work but one which often surpassed it. 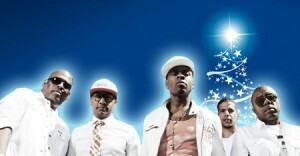 As a result, their legions of fans would turn out for a Mint Condition show whether they had a current hit out or not. After Perspective Records folded, Mint Condition signed with Elektra, delivering more hits with “If You Love Me” and “Is This Pain Our Pleasure” from the LIFE’S AQUARIUM album. In the early 2000s the group took a break from their relentless recording and touring schedule. They resumed as a quintet with only keyboard player Keri Lewis absent (though he sometimes re-joined them for specific shows releasing a new album LIVING THE LUXURY BROWN on their own Caged Bird label in 2005, hitting again with “I’m Ready.” Their high-energy live performance was captured with the release of LIVE AT THE 9:30 CLUB and then 2008’s E-LIFE yielded another hit with “Nothing Left To Say.